AirFox will use the funds to develop a new mobile system for micro-financing. BOSTON--(BUSINESS WIRE)--AirFox, the company making mobile internet more affordable for millions of people, today announced it reached its $15 million funding goal and closed its public ICO. AirFox saw an outpouring of support in the weeks leading up to its ICO, raising $6.5 million in an impressive ICO pre-sale, and later more than $8.5 million in the public sale. In the midst of a volatile ICO market often plagued by scams and illegitimacy, AirFox stitched together a unique framework of regulations and processes in order to effectively self-regulate. More than 2,500 legitimate backers successfully contributed to fund the development of AirFox’s new blockchain consumer platform, AirToken (AIR), and its revolutionary microloans program. In the developing world, mobile airtime (or data) functions as a currency. The success of mobile phone-based money transfer services like M-Pesa highlights the need for banking options that fit the unique needs of users in emerging markets. By incorporating blockchain technology into mobile phone-based money transferring, AirFox is adding a level of financing, security and reliability previously unachievable. Using AirFox’s Android application, thousands of quantifiable data points can be tracked and analyzed to create accurate ‘credit scores.’ These credit scores will segment users into tranches, allowing lenders and advertisers to sponsor AirTokens through an Ethereum smart-contract. 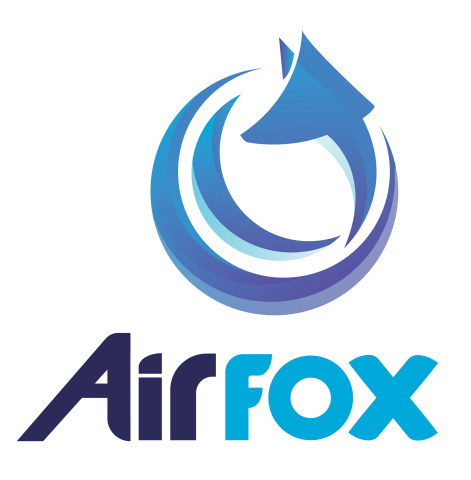 Read more about how AirFox plans to turn AIR into the token of mobile internet access here. Founded by ex-Googlers Victor Santos and Sara Choi in January 2016, AirFox quickly established itself as the leader in affordable data plans for U.S.-based prepaid wireless carriers. Incubated at Harvard’s Innovation Lab, AirFox is a TechStars Boston alumni and is venture backed by Project 11, Launch Capital, and NXT Ventures, among others. With its ICO funds and new blockchain consumer platform, the company is on a mission to enable unrestricted access to the internet for anyone with a prepaid smartphone. AirFox’s free Android app, AirFox Browser, enables users to earn AirTokens, a new cryptocurrency, by viewing advertisements on their devices, completing offers, and browsing the internet. 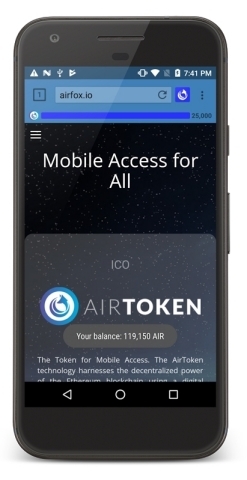 AirTokens are redeemable for mobile data and, eventually, goods and services. AirFox will use the ICO funds to develop a revolutionary microloans program that enables peer-to-peer lending in AirTokens at more affordable rates. To learn more, visit www.airfox.io. More than 2,500 legitimate backers successfully contributed to fund the development of AirFox’s new blockchain consumer platform, AirToken (AIR).